Divorce brings a lot of turmoil and can wreck your finances. Homes are the most valuable assets shared by couples. What to do with the house becomes an enigma. Further complications and disagreements are bound to arise regarding the property. Handling your house correctly during the divorce will help you and your ex-go separate ways harmoniously. During the divorce, there are various scenarios that may occur. One party may decide to sacrifice other assets and keep the home. Some couples chose to list the house and divide the proceeds equally. Both options seem plausible but keeping the home can become expensive due to property taxes, maintenance, and mortgage. In addition, it can be a beginning of pain because of the memories. Thus, selling is sometimes the best option. First, listing on the property market. It can take several months before finding a buyer and commission must be paid. At Super Cash for Houses, we understand the pains of divorce, and you need to move on with life as fast as possible. Instead of going through the lengthy method of selling your home through an agent receive a cash offer immediately! In just 10 days or less, we close the sale at no extra fees or commissions. We make the best cash offers in the Dallas\ Fort Worth area. Whether your house is sparkling new or in need of repairs, rest assured of the highest evaluation. Selling your house during a divorce is the quickest way to move on. Every party gets their half of the bargain in just 10 days. 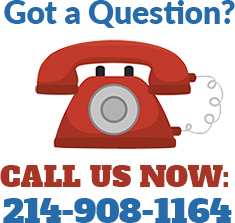 Step 1: Speak to our representative at (214) 908-1164 or fill our online form – We are super approachable, accommodating, and respond quickly. Step 2: Tell us when to visit the premises – Next one, our qualified home inspector, comes to inspect the state of the home or real property. We do it to determine the value thus calculate the cash offer. If there are tenants that need evicting or repairs to be done, let us handle everything. Step 3: Fair cash offer. After the site visit, we come up with a fair, attractive offer – You are encouraged to ask a lot of questions, and we answer honestly. If you are satisfied, you receive a contract. Upon signing, it will take less than 10 days to have cash in your account. Never worry; about hidden fees or commissions, we are cash home buyers, not agents. It is just as easy as selling items during a backyard sale. Your residence may end up sitting on the market for several months. If repairs are necessary, fixing and making it ready for the market may result in arguments. In addition, it may become expensive. Yuu should hire an agent and haggle about the price delaying the process altogether. If you won the house, or both parties have decided to sell, get cash instantly in less than two weeks.